These geometric Christmas light covers are the work of the "playful.geometer" at Flickr. The five different covers are based on the five shapes of the Platonic Solids. The lovely patterns on each of the solids are "kaleidoscoped" fractal images. I like the paper lantern effect these have when they are lit up. Templates for each of the five are available here. 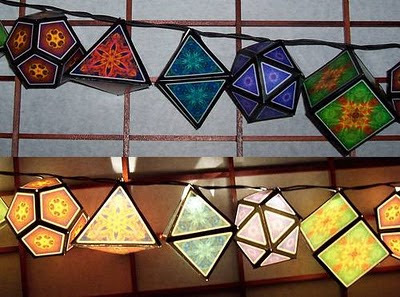 If you are interested in creating your own decorative patterns, a educational math website has some blank Platonic Solid templates available here. 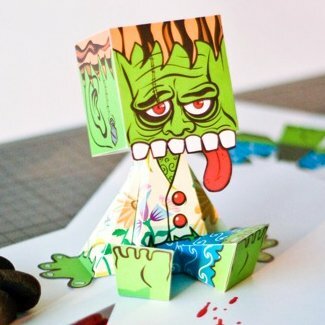 Here's a Frankenstein monster paper toy by a German comic artist that likes to go by just "George". The title of this paper toy is "Hippenstein's Monster" presumably because of the "hip" clothes he is wearing. :) The one page, six part template for the monster may be downloaded here. Of the two paper toys of KFC founder Colonel Sanders circulating on the Internet, this one is my favorite. I think maybe it's the bucket of fried chicken in the Colonel's hand in this one that wins me over. ^^ This paper toy was created by the folks at didactoteca.com and may be downloaded here by clicking on the photo of the template. 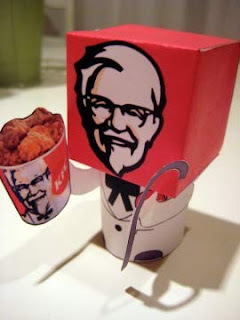 For the curious, the other Colonel Sanders paper toy mentioned is one of the many paper toys offered at the toy-a-day blog which is located here. 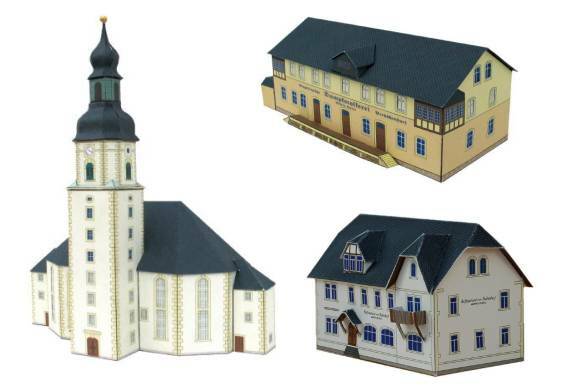 These three papercraft buildings are but a sampling of forty eight different free printable models offered online by a primary school located in the German state of Saxony. The school uses these models during the holiday season to create a miniature Christmas village. Each of the models is of a building that actually existed (or perhaps currently exists) in the town where the school is located. According to the school's website the scale of these model buildings are appropriate for use with N and Z scale model railroads. The papercraft templates may be downloaded here. In the Capcom video game, Darkstalkers, the character Felicia is a werecat. This sweet looking papercraft coin bank by artist Katy Hargrove is shaped to look like Felicia in her cat form. 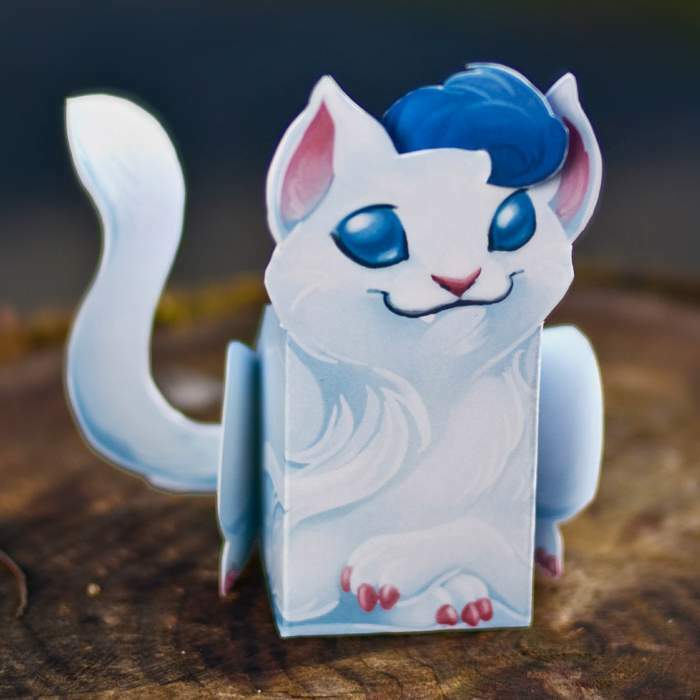 The coin bank was created for a Darkstalkers tribute book, but Katy was gracious enough to post the Felicia template on her blog here so that buyers of the tribute would not need to cut up their book to build the papercraft. In the ongoing Perry Rhodan science fiction book series, Battle Lights are battle spaceships made of a charged form of energy. The Battle Lights appear much like a symmetrical polished ruby with a glowing ring of red light around the middle. Each of the three pages of the template for this papercraft Battle Light were originally offered as inserts in Perry Rhodan volumes 2514 through 2516. 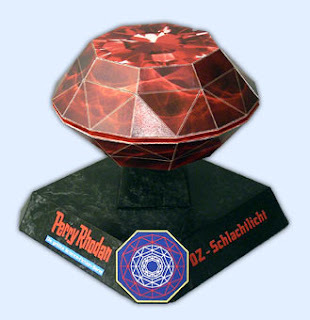 Perry-Rhodan.net has conveniently gathered the inserts into a single PDF file which may be downloaded here. Instructions for the model are available here. At 1:87 scale (also known as HO scale), these papercraft Porsche 917 race cars are slightly smaller than toy Hot Wheels cars. 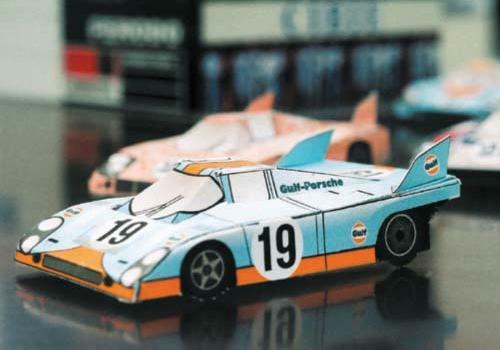 The paper model Porsches are a free download offered by motografica.de, an German image database of historic racing and sports cars from 1920 to 1980. The single page template includes four cars, each with a paint scheme based on a different historic 917 from the early 1970's. The printable template for the cars may be downloaded here. 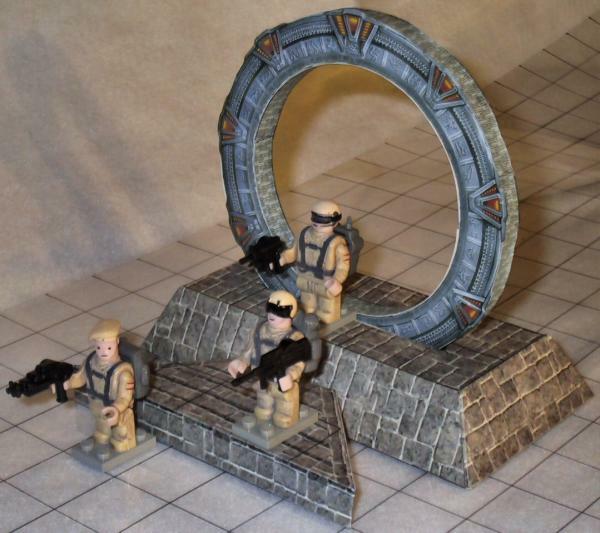 This nicely done Stargate papercraft was designed to be used with the Stargate SG-1 role playing game. The RPG game, as you might guess, is based on the Stargate movie and television series. The template for this gateway was created by Sean Lambert in 2003. 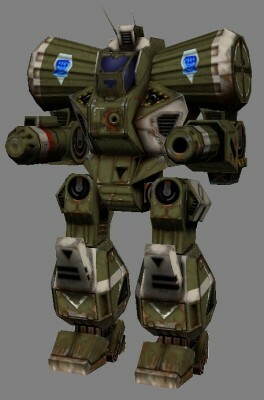 UPDATE 5/4/2013: The original download site for this paper model is no longer active. 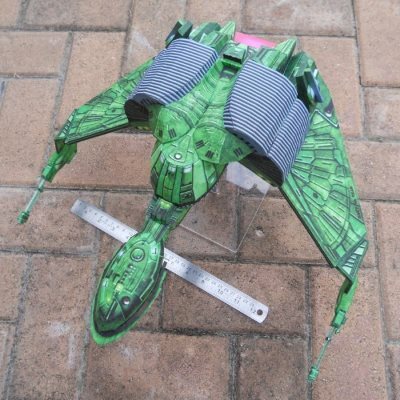 A similar paper model based on Sean Lambert's design is available here. 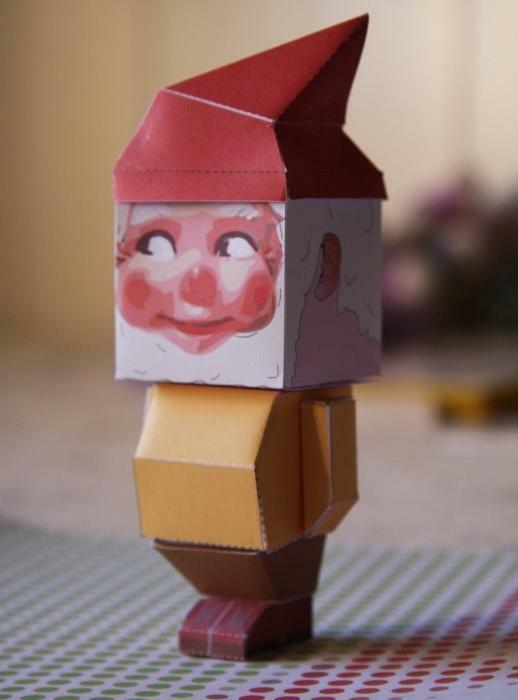 This little gnome paper toy was created as a Christmas papercraft in 2008. Gnomes were first mentioned in the writings of the medieval alchemist Paracelsus. Hundreds of years after Paracelsus, the idea of the gnome became incorporated into the world of fantasy literature. Although defined in different ways by different authors, gnomes are generally portrayed as creatures resembling tiny elderly men who live underground and who commonly guard a stash of treasure. Today, gnomes have shown up as garden statues and even as a mascot for the travel website, Travelocity. To build a paper gnome of your own go here. From 1981 till 1983 Honda produced a tiny motor scooter known as the Motocompo. The scooter was designed to fit in the storage compartment of Honda's subcompact cars. The storage space required for the Motocompo was reduced by engineering in a retractable seat and handle bars. 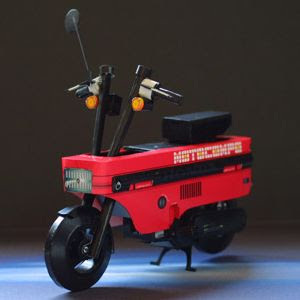 This 1:12 scale papercraft Motocompo was designed by Yasu Tanaka of Japan and comes in three colors: red, yellow and white. The templates for each are available here.